Activists protesting the killing of Saudi journalist Jamal Khashoggi hold a candlelight vigil outside the Saudi Consulate in Istanbul, Oct. 25, 2018 (AP photo by Lefteris Pitarakis). Saudi Arabia has lately been in the news for all the wrong reasons. It has been widely condemned for a disastrous war in Yemen that has forced over 3 million civilians to flee and left over 15 million people on the brink of famine. 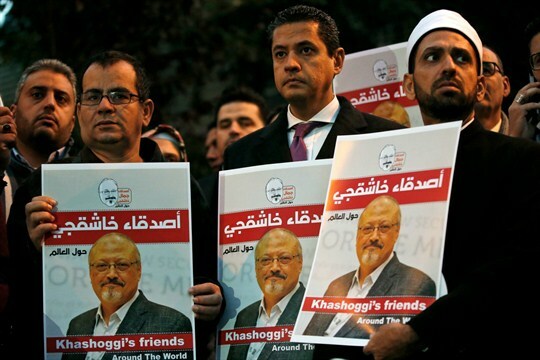 The killing of Saudi journalist Jamal Khashoggi in the Saudi Consulate in Istanbul—allegedly on orders from Crown Prince Mohammed bin Salman—is a story that refuses to go away. More recently, the Saudi government finds itself responding to alarming allegations regarding the detention, torture and impending trial of many prominent female activists in the kingdom.